Learning With Experts (formerly My Garden School) is offering Middlesized Garden readers a 10% off their New Contemporary Garden course, taught by RHS Ambassador Jamie Butterworth. 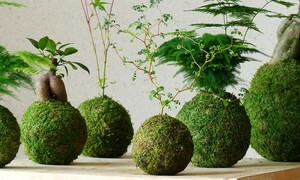 The New Contemporary Garden course by Jamie Butterworth will cover house plants as well as space gardening. The New Contemporary Garden is an online gardening course, designed to help people get into gardening, no matter how small their garden, patio or balcony is. 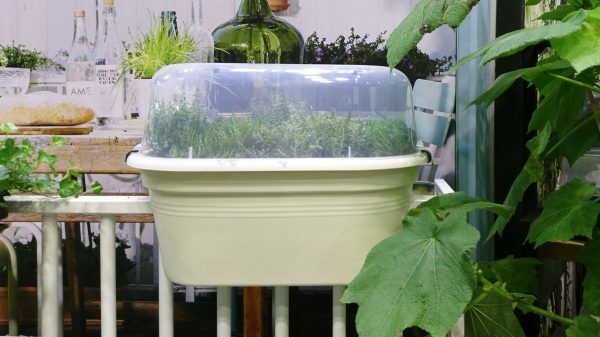 It also covers house plants for those who want to grow plants without any garden at all. Use the code MIDGARDEN at checkout to get 10% off the course. In The New Contemporary Garden course, Jamie shows how to make the most of compact spaces both inside and out. He will highlight the potential of different areas from a balcony to roof terrace, sharing design principles to convert any space into a growing area. The course will also help growers to plan properly, how to plant for food as well as for ornamental flowers. It’ll include the latest trends and ideas, plant variety recommendations, top tips on sustainability and maintenance advice. And he’ll use real examples of small spaces and contemporary green areas. Elho balcony planter from my post on 2018 Gardening Trends. It’s an online course, comprising four tutorials. It offers lifetime access to course content and a flexible study program that fits around the individual. You can complete optional assignments and get online support from the Learningwithexperts.com community. All students will have direct access to their fellow classmates in the online classroom. Students who want direct feedback on their work from Jamie can upgrade to his £159 course. Full details of the course are available to view at www.learningwithexperts.com/gardening/courses/the-new-contemporary-garden. ‘I live in a small 1 bed flat, with no balcony and only windowsills for plants,’ he says. ‘So I have to be creative in which plants I grow, and where I grow them. 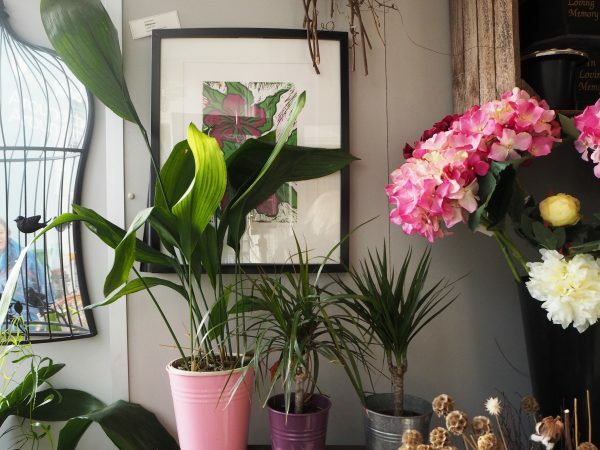 Aspidistra in the pink pot – it’s one of Jamie’s Top 5 ‘hard to kill’ house plants. ‘There is a common misconception that house plants are difficult to grow. This is all down to which plants you choose. And I, too, have to choose bullet proof plants, as working away from home a lot means they can sometimes go days without water. Tried and tested in my own apartment. They look great and, most importantly, are difficult to kill. Ficus lyrata (Fiddle Leaf Fig) – A fantastic, large leafed Ficus (related to the Fig). Boasting large, waxed, veined leaves that make quite the statement. Be careful though, this can grow quite large, plant it in a decent sized pot and place somewhere with lots of light. Not a plant to use if you have Cats or Dogs, as it can be poisonous to them. Spathiphyllum wallisii (Peace Lily) – My all-time, absolute favourite house plant. After having the starring role in ‘Hot Fuzz’, I just had to get one. Impossible to kill, and will reward you with beautiful, cupped white flowers. Wait until the leaves start to wilt and drop, and only then water, they will bounce back in a matter of hours. See, told you it was easy. Calathea rufibarba (Velvet Calathea) – A truly beautiful house plant with fantastic dark purple stems that lead to elegant dark strapped leaves, a brilliant plant to add character to indoor planting. Aspidistra elation (Cast Iron Plant) – As the name would suggest, this is as hard to kill as they come. An easy plant to grow, and produces handsome, elegant foliage that will help to green up ‘that’ dark corner. The New Contemporary Garden course is available from Learning with Experts. Use the discount code MIDGARDEN when prompted at checkout. I haven’t been paid a fee for this post, nor will I get an affiliate fee if you buy the course through the links in it. I just like to send out an occasional mid-week offer. However, I am an affiliate for Learning With Experts via the lime green ‘online gardening courses’ advertisement on the right. And if you buy your course by clicking on the ad, you’ll still get the discount and I may get a small fee, although it won’t affect the price you pay. So the choice is yours – click on the links within the post or the advertisement on the right! I myself have bought an online learning course via Learning With Experts, and I paid the full cost. It’s Clive Nichol’s Photographing Flowers course, and it’s fab. I will report back in another post. There are some great tutors on Learning With Experts, which is why I’ve accepted their ad.